Can the leather sofa be rubbed with water? In general, leather sofas are best not to be wiped with water. The reason is that rubbing the leather sofa with water can damage the texture of the leather, causing the skin to wrinkle, become dull, and even peel. If you regularly wipe the leather sofa with water, it is likely to shorten its service life. So if the leather sofa is dirty, can it be cleaned without rubbing with water? If there are no stains on the leather sofa, then we just need to simply wipe the dust and fine particles on the surface of the leather sofa and with a clean soft cloth. Do these simple cleaning regularly and the sofa can be kept clean and be in prime condition for a long time. What if the leather sofa surface has stains and has been in used for a long time? If the leather sofa is dirty, it is recommended to wipe it with a dry rag, then apply some special leather care solution directly on the leather surface using a rag. If there is a particularly dirty patch, use a dry rag to apply some of the care solution and wipe it off with a clean rag. Repeat this process and you will remove most of the dirt. The leather care solution can be applied even if the leather surface is clean. A protective film will be formed on the surface of the leather and in future if spills and stains get on your sofa, it can be easily removed by wiping with a clean cloth. For the more difficult to stains, you can use a wet towel to wipe a little alcohol on the stain. Some people use soapy water or some chemicals such as detergent to wipe the stains on the sofa. Some of these chemicals are corrosive and can damage or dull the leather surfaces. So you have to be careful if you plan to use these. 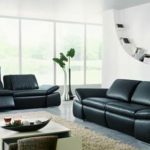 Please contact our team if you have any queries on obtaining a sofa leather upholstery cleaning service in Kuala Lumpur and Selangor, Malaysia.